Reusable code is the name of the game! 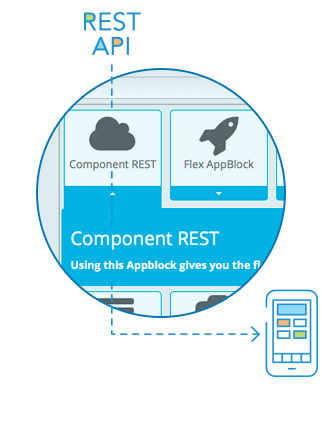 Our modular AppBlocks architecture gives you extreme flexibility without forcing you into templates. AppBlocks are modules of reusable code that can be customized for many purposes. 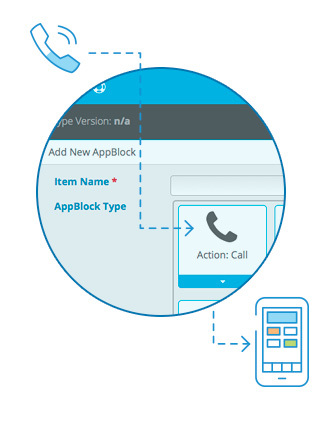 Use the same AppBlock to create unlimited mobile use cases. 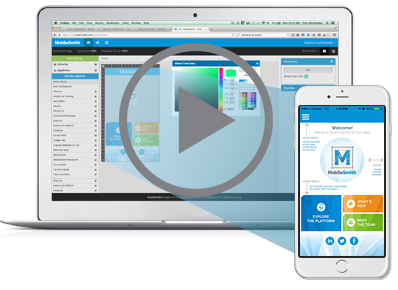 Customize the data, design, layout, and user experience. Create a fully custom mobile front-end in days, optimized for iOS and Android. 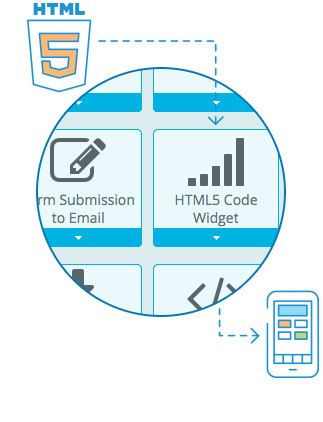 Build native apps packed with interactive features using all the native device functions. Device hardware features supported – GPS, proximity, camera, etc. Use system apps for common features – tap-to-call/email/map, get directions, add to calendar, etc. Push notifications, local alerts/reminders, geofencing, and Bluetooth Beacon messaging. Search, Filter, Mapping, Scheduling, etc. Fly-out Menu and Standard Tab Bar available for global navigation structure. Supercharge your consumer and enterprise apps with on-demand data from your backend systems. You maintain control of your data. 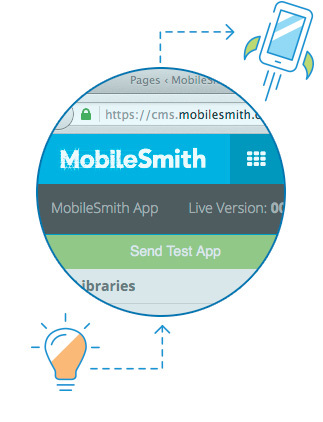 MobileSmith enables you to create a beautiful front-end powered with it! Each app page can make a RESTful web service call to GET, PUT, POST, and DELETE data. Connect pages together using URL variables and pass-through variables from POST data. Error handling, pagination, and data caching all follow the rules set forth in your own JSON. Easy-to-use page wizard allows a non-developer to configure pages by simply copy/pasting a REST endpoint into the platform. Use existing authentication services – social media, portal etc. 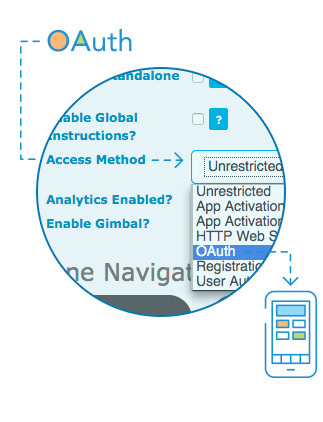 – for secure user access to your apps. 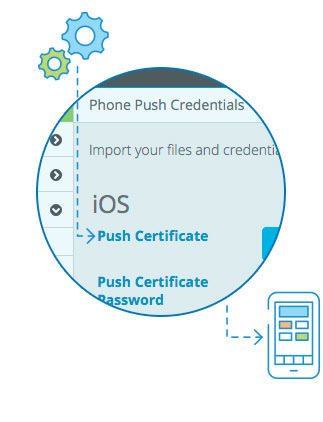 MobileSmith uses standard OAuth 2.0 protocol for user authentication. 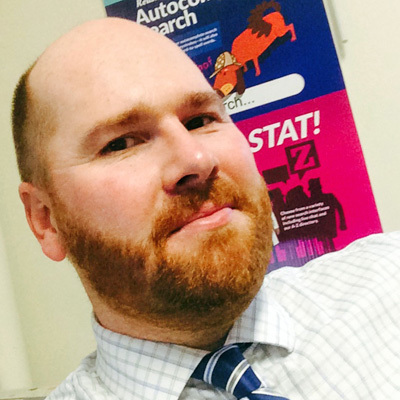 Support both implicit and explicit OAuth for secure login. MobileSmith apps will use the Access Token to uniquely identify the end-user. Full support of Refresh Tokens; Access Token session expiration is determined by the OAuth server. Have a piece of custom HTML5 or native code you want to include? No problem! 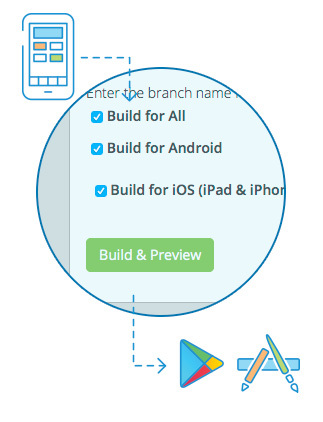 Inject pre-built native code via the Native AppBlock extension (iOS and Android). Easily expose features that continue to work in “airplane mode” when a connection to data is not available. MobileSmith simplifies and accelerates app distribution and submission to app stores. Submit your apps using your own developer accounts to Apple App Store and Google Play. Distribute apps privately as enterprise apps via an email download link. Accelerate time to market and improve discoverability – we will help you optimize! Securely manage and update content in all of your live apps – no need to re-download them! Set role-based access permissions for admins, editors etc.